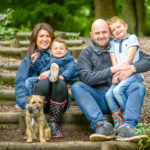 Summer engagement shoot around Derwent Reservoir, only a short distance from Manchester. Lorna & Glynn didn’t hang around when booking me to photograph their wedding in Yorkshire later this year. After finding out I was available, Lorna filled in the online booking form and paid the deposit, job done in about 15 minutes. They were a little apprehensive about this engagement session but they really needn’t have worried about it. Engagement shoot Manchester, the countryside scrubs up well! Derwent Reservoir on the Manchester/Derbyshire border was chosen as we wanted a real countryside setting. We met up in the car park amongst the many seasoned hikers and mountain bikers. Derwent is famous as the practising spot for the World War II Dam Buster raids and there’s lots of very interesting information about this scattered around the area. 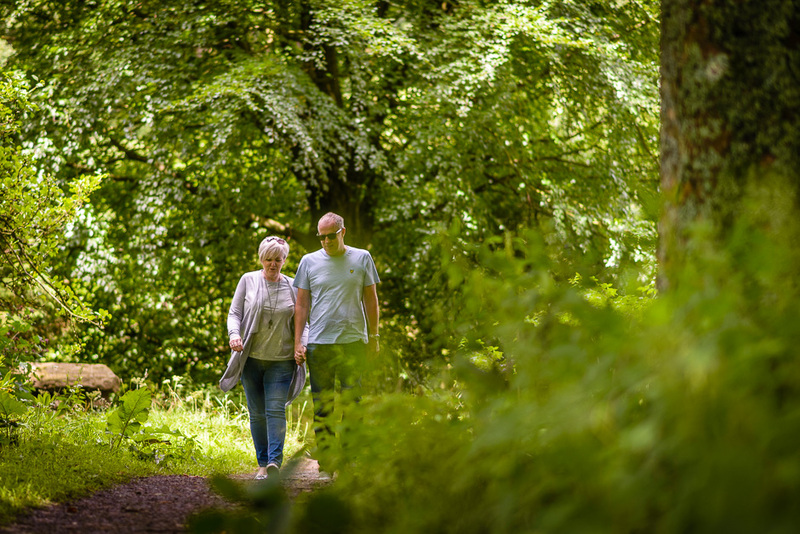 The majority of the land around the reservoir is woodland, but with the hills and moorland of the Peak District never far away, it made this the ideal location. You never know what the weather will be like at a location like this. It started off sunny but dark clouds soon formed although we were lucky when the rain did come as we sheltered under the trees and it didn’t take long for it to clear up. 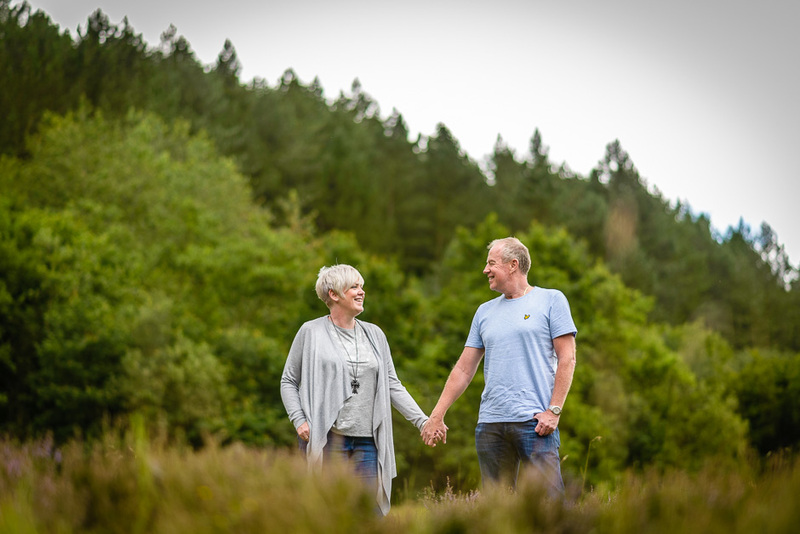 I loved taking these photos and I think Lorna and Glynn loved being in them as well. It’s not long now until the wedding later this month. 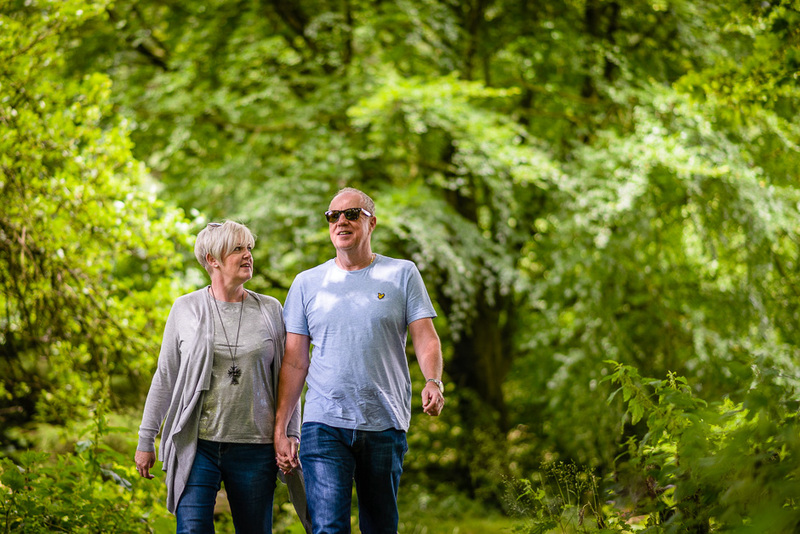 Lorna and Glynn were great on their engagement shoot and this little Manchester countryside expedition, and I can’t wait for the 25th to come around – it’s going to be a fantastic wedding. If you are looking to book your wedding photographer and would like a complimentary engagement shoot thrown in, then look no further. Why not get in touch for a chat about your wedding plans?